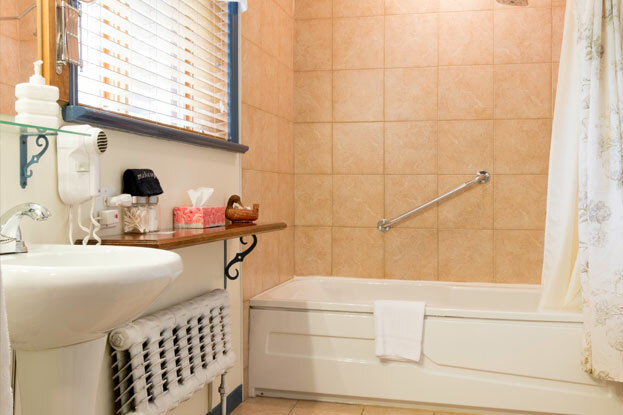 Three spacious rooms with queen size bed, private bathroom, armchairs, mini fridge, air conditioning. “Côté Jardin” room is facing the garden. 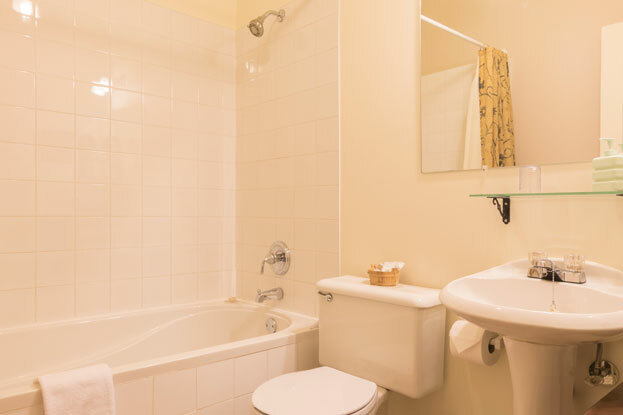 This Great Comfort Plus room will be appreciated for its spaciousness, queen size bed, double futon/couch, mini-fridge and private bathroom complete with a large bath and shower. Air conditioning. 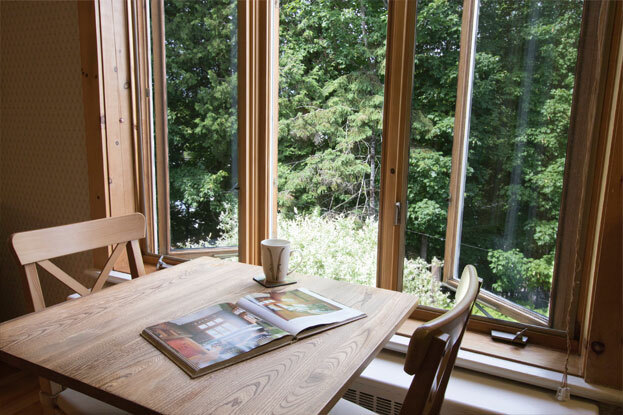 Full breakfast included, free WiFi and free parking. This room is also suitable for a family with two young children ($$ extra). 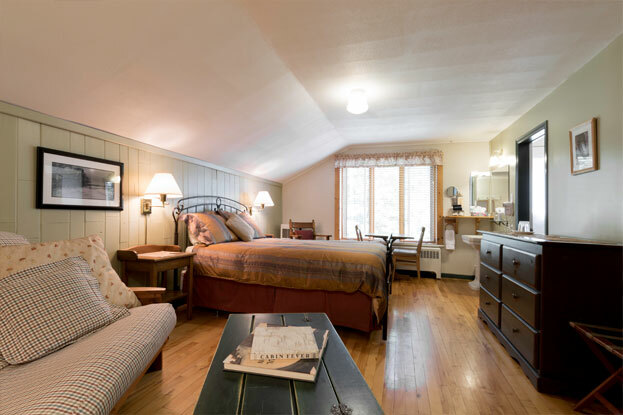 This remarkable room sits on the main floor of the Inn and has a private outer entrance and balcony. 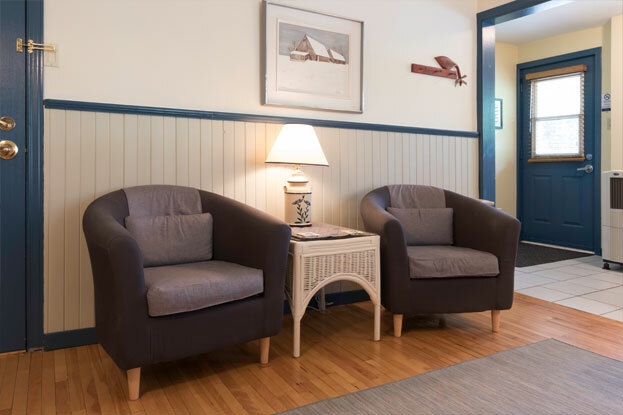 This great comfort room is very much sought-after. 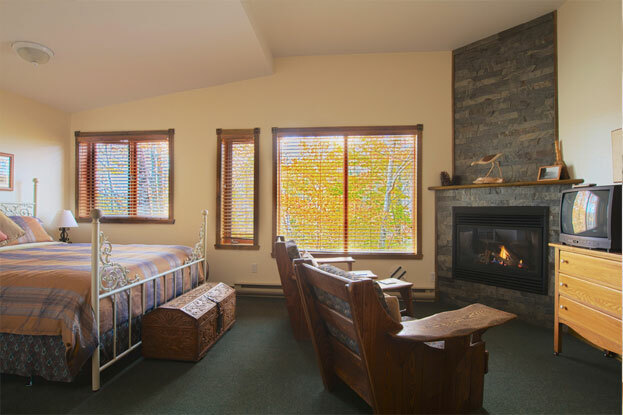 It is equipped with a queen size bed, a wood burning fireplace, a mini-fridge and a private bathroom with large bath and sunflower shower. “La Grande Ourse” room is also accessible by wheelchair. Air conditioning. Full breakfast included, free WiFi, free parking. 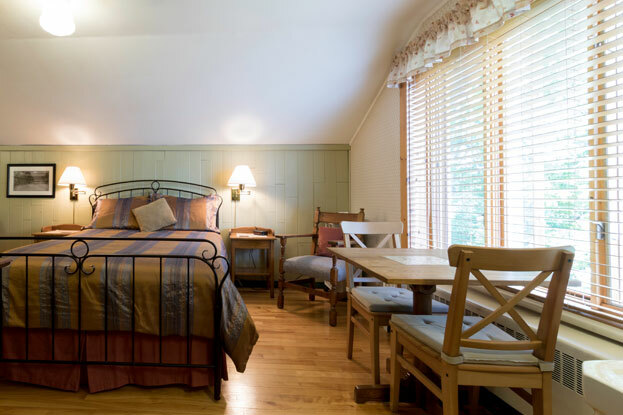 Undeniably one of the most romantic room in the Inn. 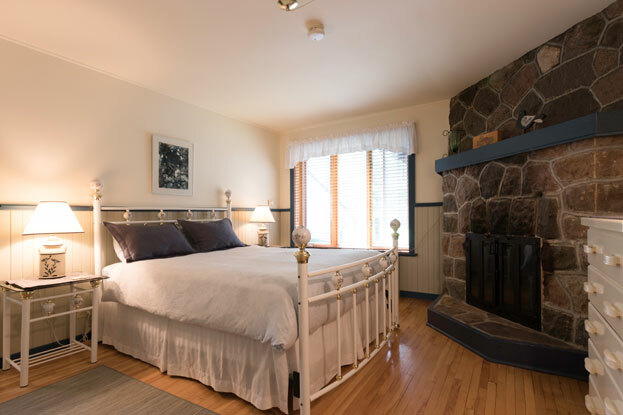 The “Clair de Lune” room has a splendid view of the woodland situated at the back of the Inn, a gas fireplace, a queen size bed, a mini-fridge and a private bathroom with a large bath and a shower. 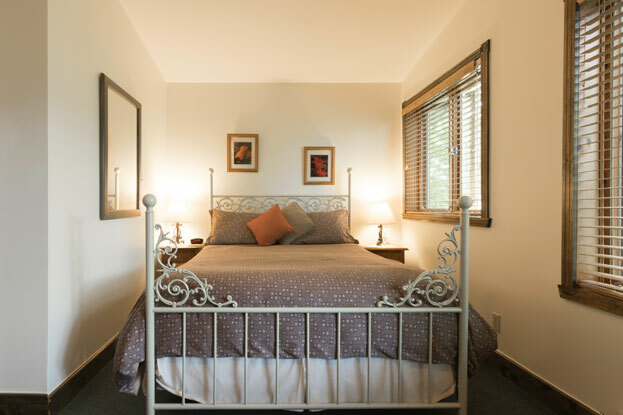 Full moon nights are very special in this great comfort room. Air conditioning. Full breakfast included, free WiFi, free parking.